The choice to hone in on the left wing Vermont senator was calculated as the transcript of Trump's address has been circulated ahead of the event, so the media gallery knew what was coming. Hard on the heels of a long shot on Sanders came the words: "Tonight, we renew our resolve that America will never be a socialist country." Sanders took to social media to deliver his own rebuttal, largely revolving around challenging Trump's claims of economic success. 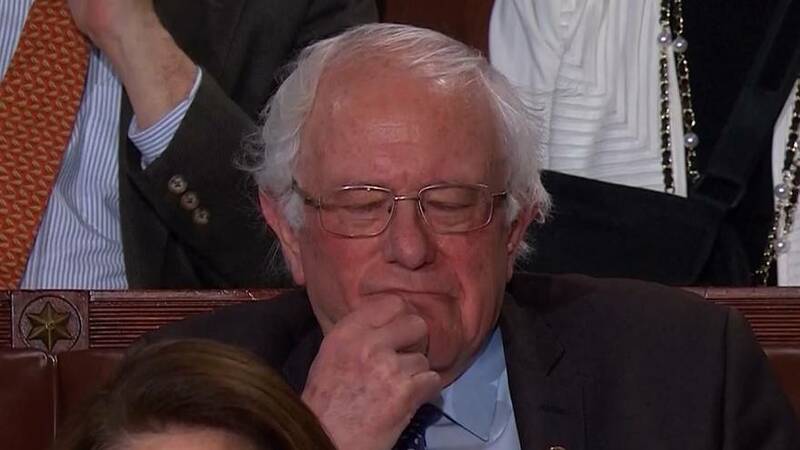 Sanders also lamented a SOTU address in 2019 without mention of climate change.